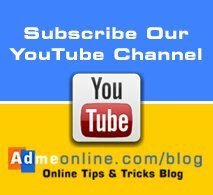 Mobile Phone Screenshot Shortcuts | How do I take a Screenshot on my Phone? In this Guide, Learn How to use DigiLocker, an online document storage, initiated by Govt. 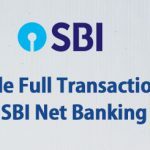 Of India, as a part of Digital India, to help it’s citizens to securely save their Important documents like Driving License, Pan Card, Aadhar Card and Other documents and Certificates issued by different Universities and Govt departments, in a secure Cloud platform, which can be easily accessible from anywhere with a net connection. ie; With DigiLocker, you can Save documents Online Free of cost under Government initiative. 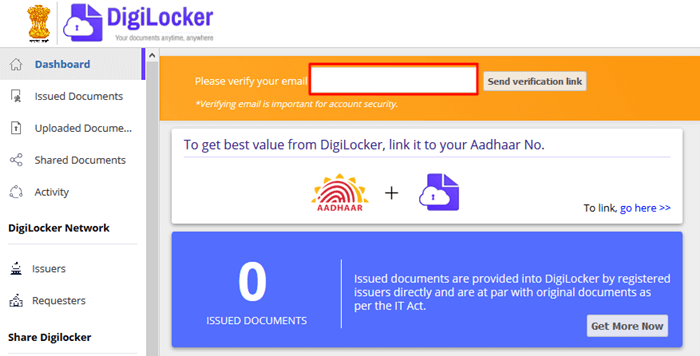 The main benefits of DigiLocker (Digital Locker System) is that you can upload all your important documents to a Secure Online Platform initiated by Government of India. Indian Railways accepts digital Aadhar and Driver License as valid ID proof. These documents can be accessed from anywhere when you need it. So you don’t have to carry your important documents when you travel. Another advantage of DigiLocker is that we can now drive hassle free, as we don’t have to carry original driving License or RC Book. 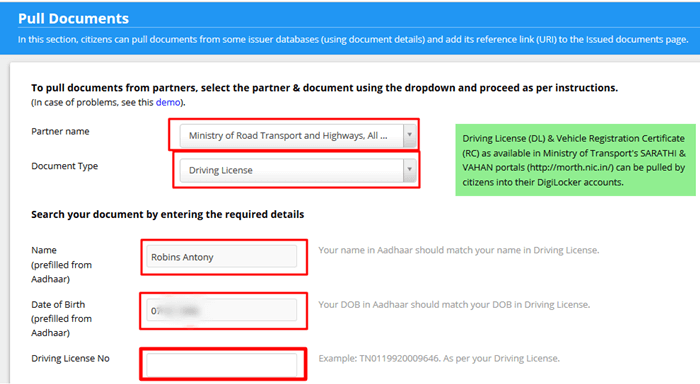 You can show the Driver License and RC book from your DigiLocker account. Digital Driving License and RC Book is accepted all states in India. More than Twenty Crore Educational Certificates are now available in DigiLocker. You can save your Schools (10th Mark sheet, 12 th Marke sheet etc) and College certificates in your Digital Locker Account Safely. So you can easily share the certificate copies when you attend an interview or when you need it very urgently. More over your documents are safe from natural calamities like Floods, Earth quakes etc. With DigiLocker we can get documents or certificates directly from the registered Issuer. 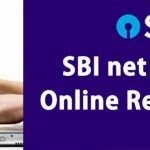 CBSE Students can get their Digital Mark sheets, Passing Certificates, Migration Certificates etc. You can digitally Sign Documents. It is like Self attestation. and the IOS App can be Downloaded from here. 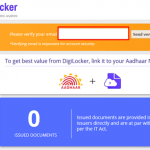 You can easily get a DigiLocker Account. 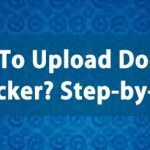 DigiLocker Signup process is very simple. You just need a Mobile Number to get the DigiLocker Account. 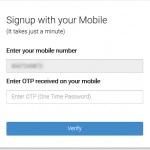 You will get an OTP (One Time Password) to authenticate the Mobile Number. 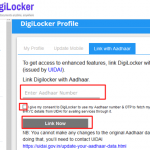 Once the Mobile Number is verified, You can select a User Name and Password to complete the DigiLocker Signup Process. 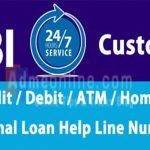 To get additional services, you can provide your Aadhar Number. 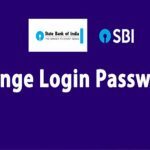 Now you will get an OTP (One Time Password) in your given Mobile Number. Enter the OTP and then click on ‘Verify‘ button. 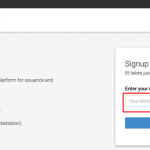 After the successful Mobile verification, you will get a User Account creation page. You can enter your Email/Mobile as the User Name and a strong Password. Then click on ‘Signup‘ button. Now you can see the DigilLocker Account creation Confirmation Message. 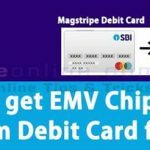 You can enter your Aadhar Card Number. This is optional. 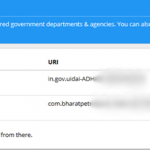 If you have an Aadhar Number, enter your Aadhar Number and Select the consent check box to pull your aadhar details from the UIDAI. 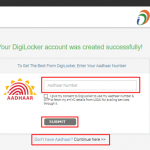 To use DigiLocker without Aadhar Card, Click on ‘Don’t have Aadhar? Continue Here‘. Now you will be redirected to the Dashboard. There you can see an option to enter your Email address for verification. Enter your Email address and Click on the ‘Send Verification Link‘. You will get an email verification link. Click on it to verify the email address. 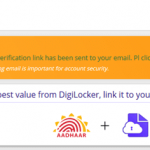 Email verification will add more security to your DigiLocker Account. 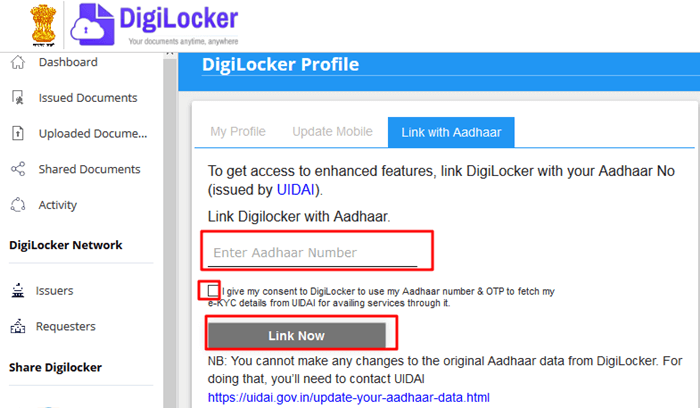 If you have not linked your Aadhar with Digilocker Account during Signup, you can link it at any time by clicking the Aadhar Link option available in the Dashboard. Check the screen shot below. Now you will get an option to enter your Aadhar Number. After entering the Aadhar Number select the check box and then click on ‘Link Now‘ button. 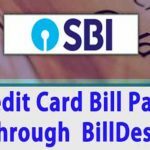 Now you will get an OTP in your Aadhar Linked Mobile Number. 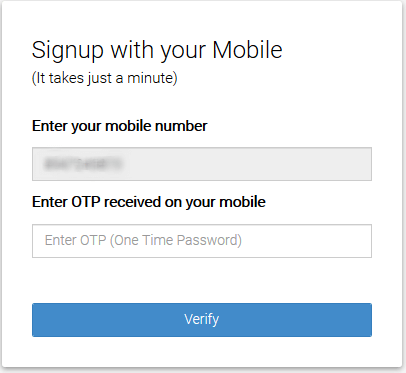 Enter the OTP received on your mobile and click on the ‘Verify‘ button. 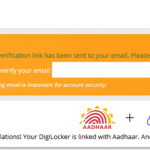 Your DigiLocker account with Aadhar is linked successfully. After the successful Aadhar Linking, you can see your Aadhar Profile in your DigiLocker account ‘Profile’ section. Once the Aadhar is linked, you can see the issued documents in your Dashboard. It will be added to your DigiLocker account directly by the Registered Issuers (Registered Government Departments). You can see the Aadhar card in your Issued Documents section. You can download your Aadhar card at any time from your digilocker account by clicking the PDF Icon. You can link your Driving License with your DigiLocker Account. So you don’t have to carry the original driver license every time. Ministry of Road Transport & Highways has issued an advisory to all the States/UTs to accept digital Driving License and Vehicle RC presented through DigiLocker. 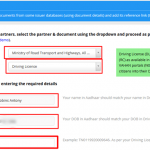 You can now show the Driver License in your DigiLocker Account whenever required. It can be shared with other agencies when required for the verification of Adress or ID proof. 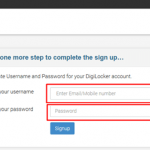 Login your DigiLocker Account with your User Name and Password. Now Click on ‘Pull Documents‘ or ‘Check Partners Section‘ link.  You will get an option to select the Partners and Document Type. To Link the Driver License, Select Partner Name ‘Ministry of Road, Transport and Highways, All States’ and ‘Driving License’ as the ‘Document Type’. You can also link Vehicle ‘Fitness Certificate‘ , ‘Registration Certificate‘, ‘Vehicle Insurance Certificate‘, ‘Vehicle Tax Receipt’ etc by selecting it from the ‘Document Type’ option. If your Aadhar is linked, you can see that your Name and Date Of Birth is automatically filled. Other wise Enter your Name, Date Of Birth, Father’s Name etc (must match with the Date of Birth in your Driver License), and License Number. Now click on ‘Get Document’ button. Your driving License data will be fetched and Linked with DigiLocker Account. 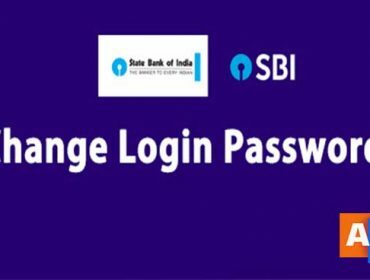 You can now Integrate Permanent Account Number (PAN) with the DigiLocker Account and can access your real time PAN verification record from the Income Tax Department. 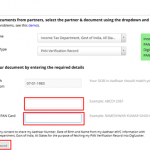 In partner’s name, Select ‘income tax department, Govt of India’ from the dropdown and in document type select ‘PAN verification record’. Then click on ‘Get Document’. Now you can see your Pan Card in the Issued Documents section in your DigiLocker Account. You can download it or Share it at any time. If you need any help, chat with us or post your questions as comment below. If you Like this Post, Please ‘Like’ and ‘Share’ it with your Friends. If you have any Questions, Feel free to Contact us in the below address. 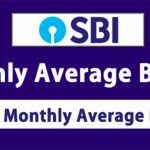 With Admeonline Free Mobile App, Find How To Videos, Online Banking Tutorials, New Technology Updates, SBI ATM Pin Generation, How to change Mobile Number in SBI Online, Book Bharat Gas Online and many useful tips.